BRADY, TX - Brady Middle School had never scored higher than fourth in UIL District competitions. This year, at the beginning of studying and practicing for the competition, Principal Shona Moore and Assistant Principal Russell Lee offered an added reward of sorts if the team won the competition. The students agreed that if they won second place, Mr. Lee would don all the regalia of a lady for a full school day. By winning first place, they would also get to see Mrs. Moore kiss a pig – of their choice. 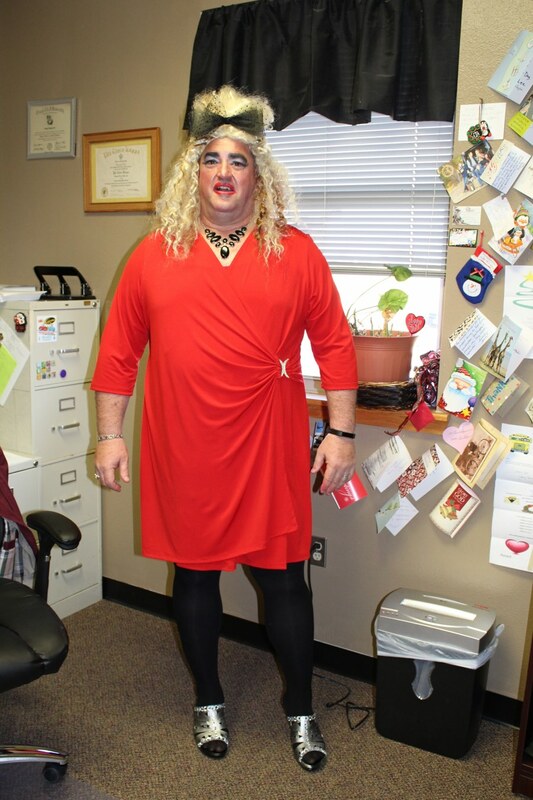 Recently, the students traveled to Bangs for the competition, and came back with the runner-up title and a chance to see Mr. Lee stagger around on high heels and a dress. True to his word, Lee put on a dress, tights and wore a size 12 lady’s dainty pumps. Female staff members were in charge of finding all the required items, and word had it that the shoes were no easy task to find. Lee spent 23 years as a coach. He was in the Rio Grande Valley and on the coast for 21 years, and spent two years in Wink before taking his first administrative job in Brady three years ago. Ed Hernandez is a contributing writer for San Angelo LIVE! He lives in Brady, Texas.